We design furniture store websites. 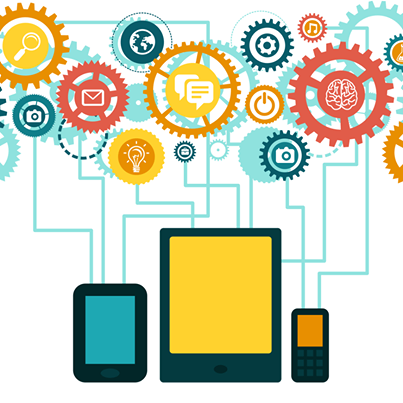 Our website designs are 100% responsive and work on all devices including iPhones, tablets and android phones. 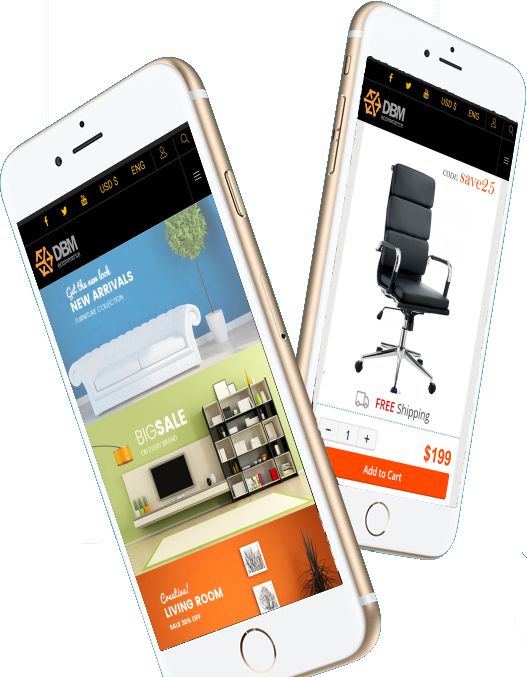 Clean Magento furniture website design is the key to having a successful website / eCommerce business. Displaying your products with 100% accuracy with nice and clean images is the utmost importance in eCommerce website conversions. We offer 100% fully managed furniture store Magento website designs to the retail industry. Whether you have a small furniture shop or large furniture eCommerce business, our IT team has the know-how and experience to help you grow your business. 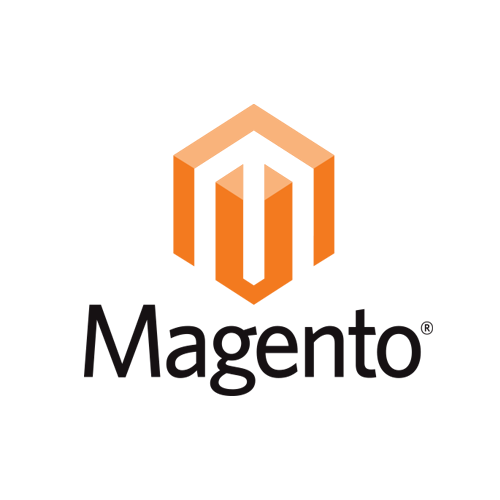 provided to small, medium and large businesses on Magento platform. Whether your website has 100 items or more than 100,000 items, we can offer a complete new design or redesign your existing eCommerce store. Leave all the hassle and unnecessary works of shopping cart design to us and focus on growing your business and sales. We offer fully managed ecommerce services including furniture product uploads, inventory management, API data channel connect with your furniture vendors and drop shippers. We understand the difficulties of running a furniture showroom whether single location or multiple locations. DBM system administrative tools will allow you to manage all of your inventory for multiple locations. At DBM, Magento 1.9 and Magento 2.x platforms are ready to launch your website in short period of time and get you up and running live. We show utmost care for websites that have ongoing SEO work on their pages when transferring or redesigning the pages. If your Furniture website is being migrated to Magento, we make sure that url mapping is in place to avoid 404 pages and loss of organic google rankings. Trust in our 20+ years experience in eCommerce development and marketing strategies. Does your ecommerce platform allow you to label your products as “used”, “refurbished”, “like new Condition” etc? Can your platform functionality allow you to combine sets together like bed, lamps, rugs and dressers? 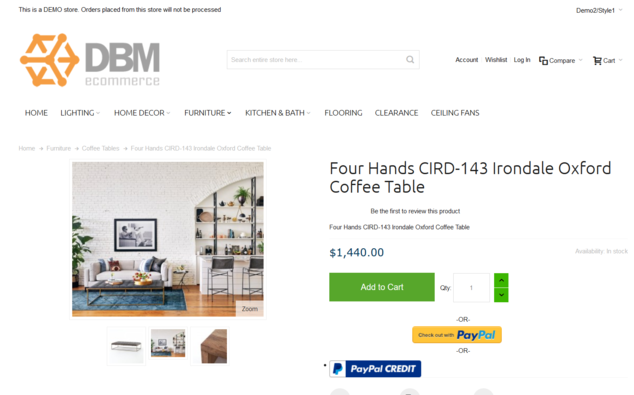 If you answered “NO”, then dbmanagers.com is the right place for you to setup shop for your new furniture ecommerce website. Because on dbmanagers.com you can label your items as you wish and offer special discounts from your regular market prices to attract more customers and make more sales. Offering further clearance prices and discounts on your furniture website will increase your conversions on your website traffic. When the buyers are presented with additional features, descriptions, detailed images, product specs, conditions and more, they will make faster and better decisions. This will result in less returns, less unhappy customers and more money in your bank account. Offer online payments, layaway payment plans, pay online then pick up in store options and more to your customers to make a better online ecommerce experience for your customers. If you are selling nationwide or even global, dbmangers.com will give you the options to integrate multiple shipping options such as Fedex, UPS, DHL, USPS and other national and global shipping services. You will no longer need to deal with product uploads to your furniture website. At dbmanagers.com we will do all the heavy lifting and upload all your brands and products to your web store. 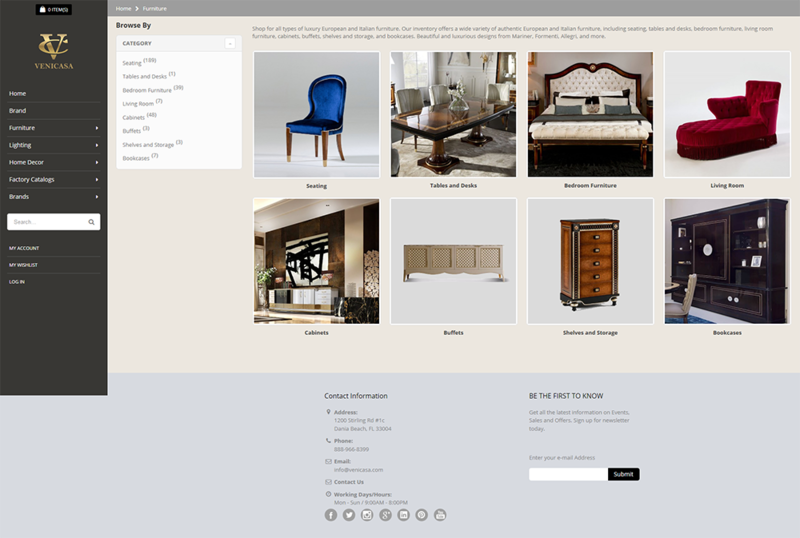 Dbmanagers.com is connected with many home furnishing suppliers and have their products in our database for easy access for your furniture website. 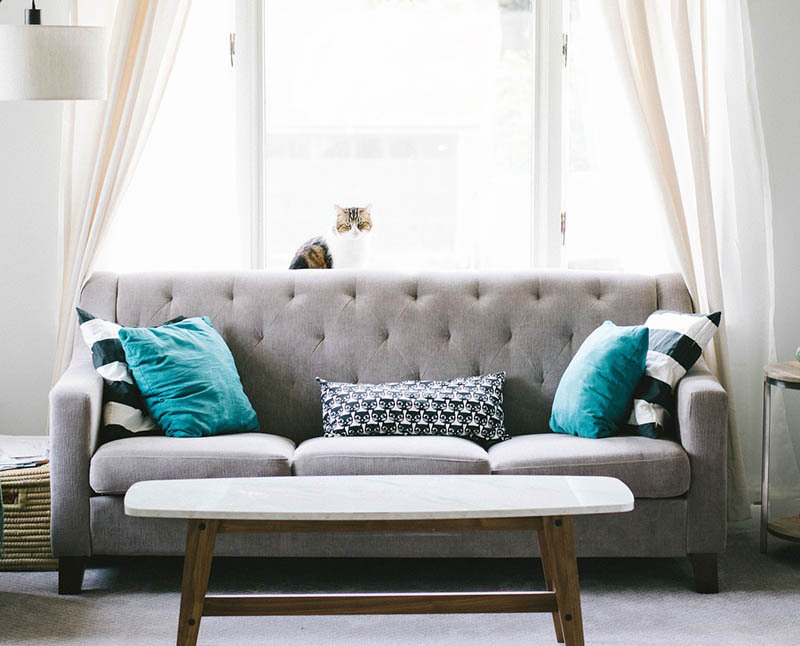 Selling furniture online is made simple with our integrated services. No need to worry about price updates, inventory and other product related updates. If you have a furniture business and looking for the right platform for your website, look no further. At dbmanagers.com – DBM, we design and develop Magento Furniture stores for all furniture businesses. Fast hosting environment and thousands of furniture supplier’s data available at your fingertips. DBM offers the fastest and easiest way to go online. 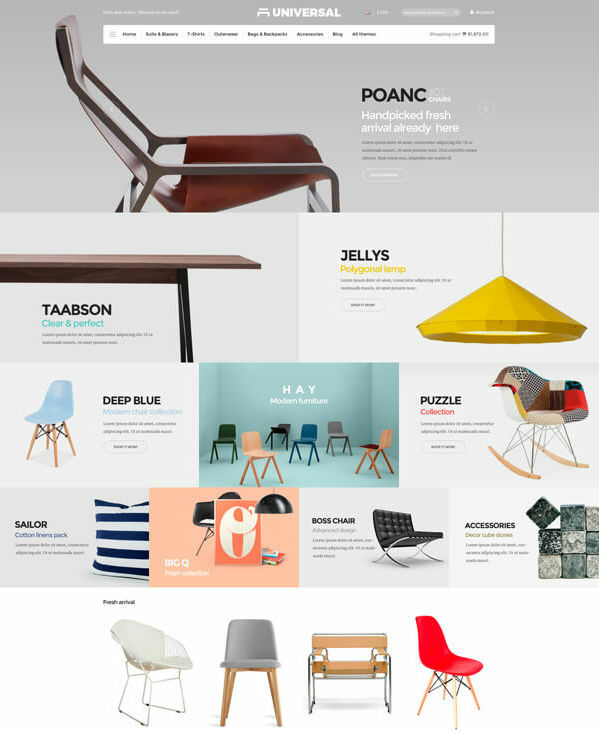 Select from ready made Furniture website Themes for your web store. 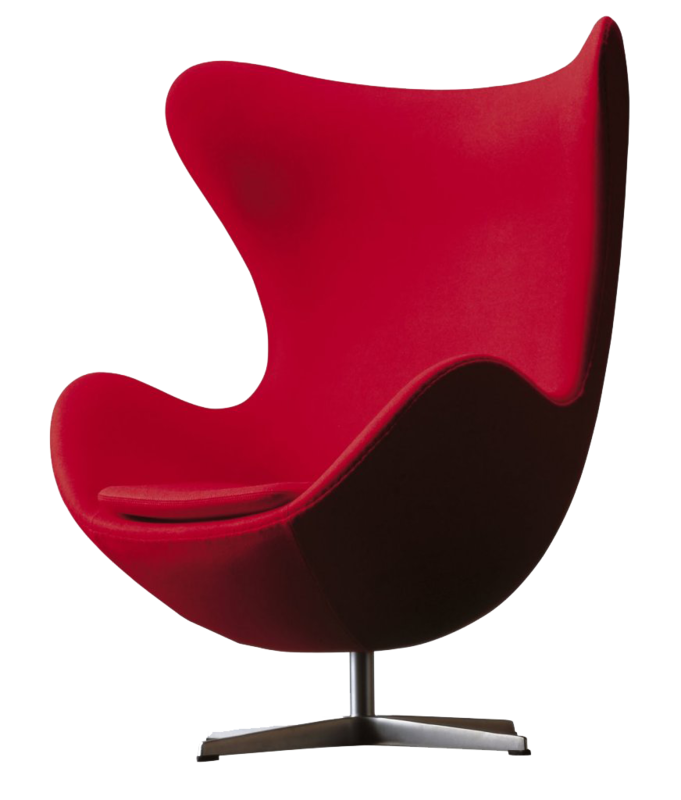 Optimized and fast Magento furniture website available for you to start selling online in no time. Get in touch with us now.